Those readers who have been watching the “Now Playing” section of our site can tell you that I have been hacking away at The Witcher by CD Projekt RED STUDIO for the better part of four months. 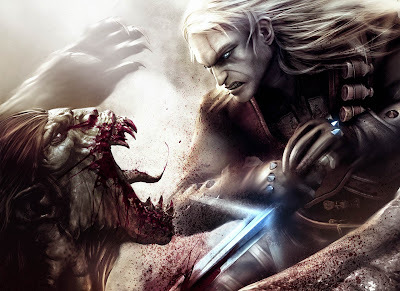 The Witcher is a top down third person RPG with a unique storyline and an engaging combat system. Further, the voice acting is spot on, the environments are rich, and many of the characters are multi-dimensional. Beyond a regrettably small pallet used for NPCs and a long series of repetitive quests, I have very few complaints about this game, and yet, I’ve been playing this game on and off for four months. I’ve had more than enough time to bring this title to a close, so what’s the problem? It comes down to this: even the most ardent reader can’t tackle an entire library, and the time we take to appreciate entertainment and the arts is regrettably finite. Simply put, while I want to play The Witcher, there are other games that have seduced my attentions more effectively. This is not to say that they are better games, but simply that they are more relevant to me at present. Even a great consumer of the arts cannot see every picture in the Louvre in a single day. Accepting this premise, I am forced to examine my own motivations for sidelining this perfectly good title. A connoisseur of any medium must recognize that their interpretations of a given work of art are, ultimately, personal. Hence, while I may fancy myself a worthy and objective analyst of all things video game, faced with an apparent shortfall in my own level of interest in what ought to be an engaging title, I am forced to concede that my failure to finish The Witcher represents a defect in my own character, rather than the game. I think this title has a lot to offer, just not to me. It is a curious distinction of the human experience that our interests and levels of enthusiasm are often fickle and random, but that does seem to be the state of things. Rather than fight against such bizarre forces in our own nature, I think it is better to embrace the things that we do find personally engaging with a full heart, rather than try to force ourselves to like things just because we think we ought to. It is said that the books we are meant to read choose us; I imagine this is true of video games as well. We can’t beat them all, fellow gamers, the medium has grown too large for that.